Complex reds, delightful whites and crisp roses are delighting the taste buds of novices and connoisseurs alike in Vancouver USA&apos;s flourishing wine scene. 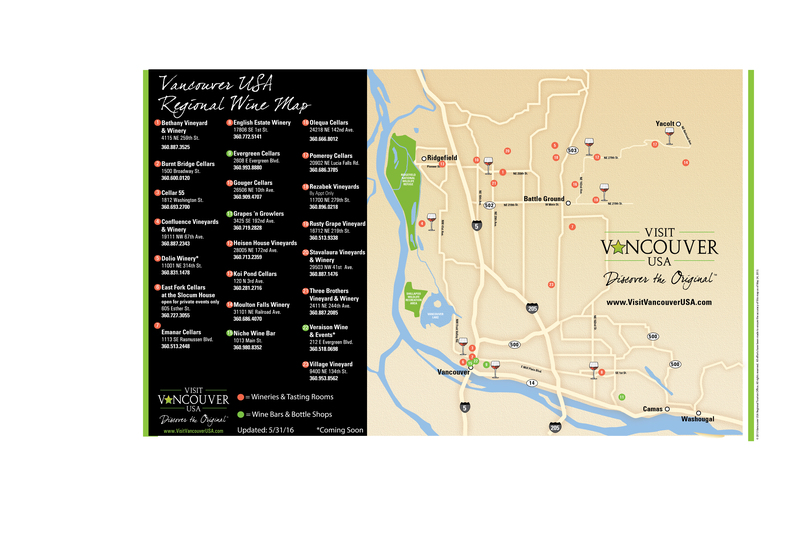 Small boutique wineries, downtown tasting rooms and larger wine estates are cropping up in Vancouver USA and the surrounding Clark County area - some featuring tasty bites from Spanish tapas to wood-fired pizzas. If wine-lovers are looking for a fun, cost-effective way to wine taste in Vancouver USA, look no further than the Clark County Wineries Passport. This Passport guides visitors through the vines of SW Washington&apos;s blossoming wine country to experience a variety of unique and award-wining wines.